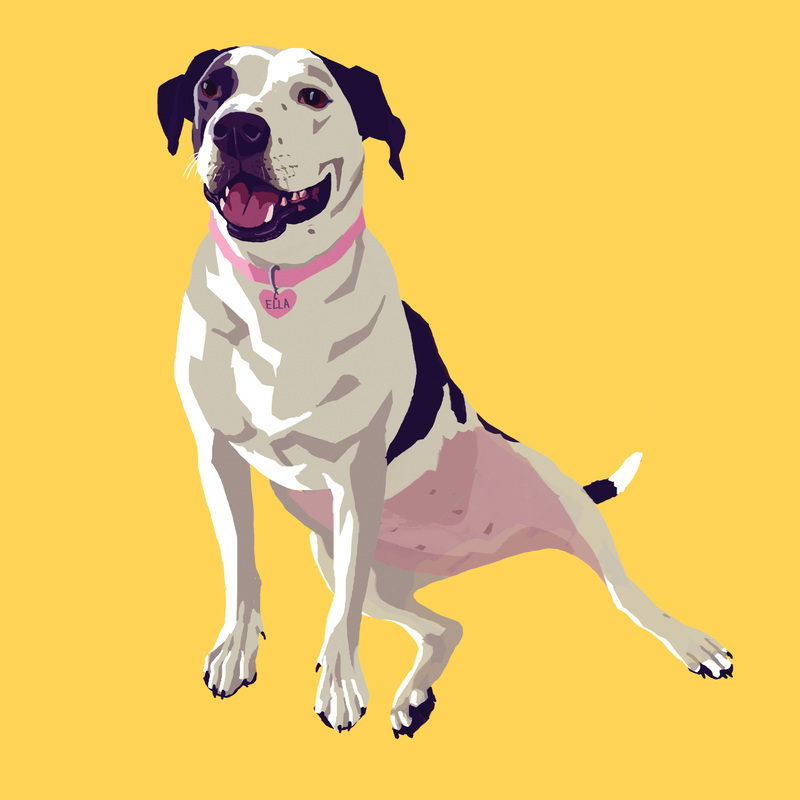 This painting is for @entirelyashley and her pit bull, Ella! This is Ashley's story about Ella: "Ella is a special lady. After she produced her last litter of puppies, her owners took them from her and then moved when they were evicted from their home, leaving Ella chained up in the backyard. Her little snout has cigarette burns and scars from chains. Despite a past filled with neglect and abuse, she loves unconditionally. She's intuitive, trusting, and gives the best kisses. May will be the 1 year anniversary of the discovery of her cancer. She underwent radiation and takes medicine daily to keep the inoperable tumor at a manageable size. She's a trooper through and through and remains the happy, loving dog she's always been. All she asks for in return is love, french fries, car rides and walks. We are more than happy to oblige. She has taught me more about life than anyone else ever could."